The Dometic Veranda Room can be used with both power and manual awnings and offer a faster, easier set-up and takedown with no tools needed. The super-durable f.. 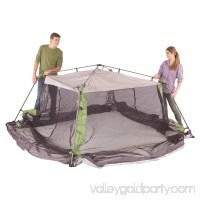 Features: -Includes frame, top and screens, stake kit, tie downs, and carry bag. -Color: Lime green. 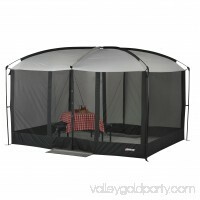 -Screened in walls help keep insects out but bring the bree.. 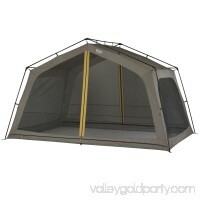 The Dual Identity Sport is actually three shelters in one. 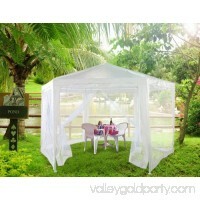 When you need shade, simply set up the gazebo and when the bugs are harassing you, attach the screen .. 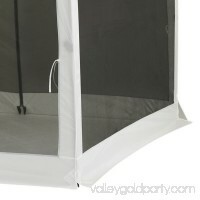 Features: -Screen walls for bug-free lounging. 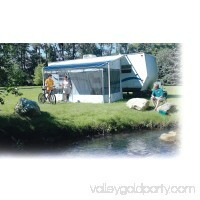 -UVGuard material provides 50+ UPF protection from the sun's dangerous rays. 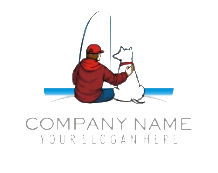 -Instant setup in about 3 minutes. -..
Find protection from the sun, wind and bugs under a Coleman 10 x 10 Instant Screened Canopy at your next picnic, BBQ or campout. There's no assembly required. J.. 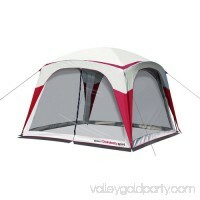 The Coleman 15-by-13-foot Instant Screened Shelter provides an easy, convenient screened shelter in the backyard, at a campsite, sporting event, or wherever you.. 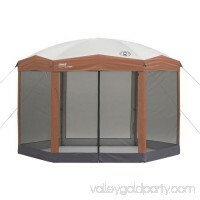 Description: The Peaktop 2m x 2m x 2m x 2.63m (H) / 6.6' x 6.6' x 6.6'' x 8.6'(H) hexagonal gazebo is an instant-assembly, no-fuss outdoor event space. Ideal fo.. 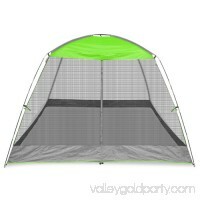 Protect yourself from mosquitoes and excessive sun whether you're at the campsite or in the backyard with the Wenzel Zephyr Screen House. The Zephyr features a ..